Sidenote: this is a depressing story. 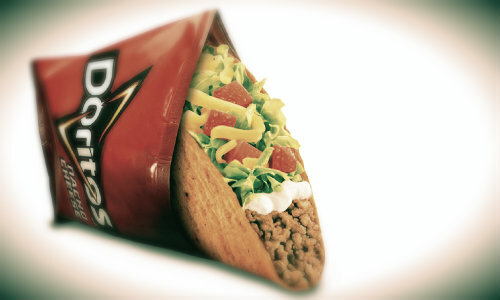 So you know those Taco Bell Tacos in a Doritos shell? Well the world received this amazing gift (thought I haven’t had one.. do they make them in vegetarian?) from one man, Todd Mills. Todd proposed the idea to Frito-Lay in 2009, and the two monster brands came together to bring us the wildly successful snack last year. What did Todd ask for in exchange for this, dare we say, groundbreaking discover? Nothing. He was just pumped to see his idea come to life. But after a long battle with brain cancer, Todd passed away today. What did his friends do? It was only fitting. Hit Up Taco Bell. So the next time you enjoy one of those Doritos Locos Tacos, remember Todd. And acknowledge that one man’s seemingly random thought, actually equated to $1 billion in sales to date. Here’s to the dreamers.